Year 2019, Vikrami Samvat 2075 - 76 classified as Paribhavi samvatsar will have Saturn as the ruling king and Sun as the minister. The lord of wealth will be Mars. Also, known as Margashirsha year, Jupiter will retrograde from fourth sign to Scorpio and Sagittarius moon signs. From November 05, 2019 Jupiter will move into Sagittarius sign and remain in the same state thereafter. Saturn will move around in Sagittarius sign throughout the year. Rahu will remain in Gemini and Ketu in Sagittarius in 2019. Planets Harshal in Pisces, Pluto in Sagittarius and Neptune in Aquarius sign will cause instability in the share market. Market will be fluctuating. July onwards, there will be unpredictability. Also, in the meanwhile a sudden steep in the share market can be seen. In the beginning of the month, Sun will be in Sagittarius, accompanied by Pluto, Mercury, and Saturn. Mars will be in Pisces moon sign, Jupiter and Venus in Scorpio, Rahu in Cancer, Ketu in Capricorn, Harshal in Aries, and Neptune in Aquarius. On 15th January, Sun will move into Capricorn sign, and Mercury will also remain present in the same sign. On 30th January, Venus will be transiting into Sagittarius sign. Also on 8th January, Saturn will rise in the east during Paush Amant. The market will open with good rise on the first day of the month. The same growth can be seen until eighth, after that for three days there will be a decline especially in IT, Vanaspati, Baking, Mining industry. Reliance Industries, perfume and cosmetic industry, cotton, transport, technology, software companies, public sector, pharma sector, woollen industries might show a rise and fall in shares. There will be slight increase in ONGC, OIC, Leather, coal industry, cement structure industry. However, in the month of January, there are mixed results for the investors. This month, the dates 3, 9, 12, 16, 20, 25, 27, 28, 29, 31 will show rise and the dates - 6, 8, 9, 15, 21, 27 will show a fall in the stock market. In the beginning of the month, Sun will be in the moon sign Capricorn, Mercury in Pisces, Mars in Scorpio; Pluto, Jupiter and Saturn in Sagittarius, Rahu in Cancer, Ketu in Aries, Harshal and Neptune in Aquarius. On date 5, Mars will be in Aries; on 13th, Sun will be in Aquarius; and on 24th, Venus will be in Capricorn; on 25th, Mercury will be in Pisces; and on 17th, Mercury will rise in West. In the starting few days of the month of February, every commodity of stock market will show a rise, especially on the date 6th. Public sector, under trading pharma industry, housing, chemical, fertilizer, tea and coffee, transport company, telephone exchange, computers, softwares, technology, reliance, cotton mix, beauty and cosmetics, film industry, ONGC will show uni-directional rise. But industries such as finance, tobacco, vanaspati, oil etc will be weak this month. Dates 22 and 23 will be particularly good. However, also on 4, 5, 6, 7, 11, 12, 14, 15, 25, 26 there will be a rise and on dates 4, 12, 14, 15, 28 will show a fall in stock market. The dates mentioned for both rise and fall indicate changing trends for the day. During the month of March, Sun will be in Aquarius, Mars in Aries, Harshal in Pisces, Mercury in Scorpio, Jupiter and Rahu in Capricorn, Venus in Sagittarius and Saturn and Pluto in Cancer. On the sixth day of the month, Rahu will be in Gemini, Ketu in Sagittarius, and Mercury will be in Pisces moon sign. On 15th March, Sun will be in Pisces; on 21st, Venus will be in Aquarius; on 22nd, Mars will be in Taurus; on 29th, Jupiter will be in Sagittarius. 8th March will see Mercury set in West and on 23rd, it will rise in East. The transit of Sun into Pisces, and Chandra darshan will be benefic. Rise can be seen in the two-sided market during this month as well. However, it will not be a powerful rise. Industries like Mahindra & mahindra, FELCO, IDL, chemical, indo-gulf, kirloskar, ACC cement, industries steel, housing, fertilizers, tea-coffee, ONGC, leather, woolen, HINDALCO, textile, etc will show a rise on 25th. There will be a bounce and fall in market as well. Computer software, IT, Spring mix, Perfumes & cosmetics, Reliance, film, bank, finance companies, along with rubber industries, ITC etc will show a double-sided trend and fall in market. On 15th, Public sector undertaking pharma, etc. will show a decline. The favourable dates are 1, 3, 6, 7, 10, 12, 13, 14, 18, 20, 21, 26 and 27, while the unfavourable dates for the market are 4, 5, 11, 12, 18, 24, 27 and 31. In the month of April, the planetary positions will be like this- Sun in Pisces, Mars in Taurus, Mercury & Neptune in Aquarius, Jupiter & Harshal in Aries. On 13th of this month, Rahu will be in moon sign Gemini, Ketu in Sagittarius, Harshal in Aries, Neptune in Aquarius. On 14th, Sun will transit into Aries sign and on 15th, Venus will transit into Pisces sign. Date 11th April marks retrograde movement of Jupiter and date 30th for Saturn. Both Chaitra Amanta and Purnimanta are benefic. Chandra darshan muhurat 30 shows the transit of Sun in Aries is malefic. The market will show fluctuations. ONGC, oil India, leather, coal, cement, structure, INDALCO, electrical equipments, hotel, resort, shipping, iron & steel industry, tea - coffee, heavy engineering etc will show dual aspects. A rise can be seen in Reliance industries, pharma sector, and PMU. Banking, shipping, vegetable oil industry, ITC, GTC, computer software, IT, etc. will show a fall after a dual indication. On 21st, IT, computer software, cars industry, spinning mills, pharma sector, woollen industries, government companies will show a rise. The dates beneficial are 2, 3, 4, 10, 11, 15, 16, 18, 19, 21, 25, 29, 30 and weak ones are 1, 7, 8, 14, 17, 23, 24 and 28. In the month of May, Sun will be in Aries sign during the beginning, Harshal in Taurus; Mars, Mercury & Venus in Pisces; while Jupiter will be in Scorpio; planets Saturn, Rahu & Pluto will be in Sagittarius sign; Rahu in Gemini, and Neptune in Aquarius moon sign. On 3rd, Mercury will transit in Aries; on 7th, Mars will move in Gemini; on 10th Venus will be in Aries; on 15th Sun will transit into Taurus moon sign; and on 18th Mercury will also move to the zodiac sign Taurus. On May 9, as Mercury will set in East, the time of Baisakh Amant and Baisakh Poornimant will be malefic. Reliance cotton mills, perfume, cosmetics, ONGC, woollen mills, cold industries, computer software & IT industry, pharma sector will show substantial rise. There will be a drop now and then; but cotton mills, perfume industry, movies, woollen & leather along with coal industry will show a rise. On the sixth day of the month, telecommunication, computers, IT, spinning mills, car services, courier services will show a decline in shares. On 23rd, the whole share market will witness a downfall. Bulls must close their deals in the first week of May. Benefic dates are 1, 3, 7, 8, 15, 22, 23, 28, while maledic dates in May are 5, 6, 10, 12, 13, 17, 19, 20, 21, 16, 29, 31. With the transit of Sun from Taurus to Gemini dated on 15th June, the planetary positions will be like - Mars, Mercury & Rahu will be in Gemini, Jupiter in Scorpio, Venus & Harshal in Aries, Saturn, Pluto & Ketu in Sagittarius, Neptune in Aquarius. On 4th, Venus will transit into Taurus, on 20th Mercury will move into Cancer sign, on 22nd the transit of Mars in cancer will take place and on 28th Venus will move into Gemini. Share market will experience a slowdown in every sphere in the month of June. Pharma sector, public sector, computer, software, technology, IT, reliance industries, perfume & cosmetics, film industry, banking & finance, vanaspati oil industries, etc. will show a continuous fall in share market. The rates may go down to any extent. On 20th, the fall in banking & finance companies, tobaccos industry, ITC, GTC, rubber industries, vanaspati oil industries etc. will come to an end. Market will pick up the pace. In these sectors, the Bears will explore the market. The dates benefic are 3, 4, 9, 10, 12, 16, 23, 24, 26 and those malefic are 1, 2, 6, 11, 13, 16, 18, 19, 20, 25, 27 and 30. In the month of July, the planetary positions from 17th indicate a steep growth. The situation turning favourable for investors brings good news. The planetary combinations will be like - Venus in Gemini along with rahu, Mars & Mercury in Cancer, Jupiter in Scorpio, Saturn, Ketu & Pluto in Sagittarius, Harshal in Aries, Neptune in Aquarius. Share market will show fluctuations and it will not be unidirectional. The industries like - banking & finance, vanaspati oil, rubber, computer, software, technology, shipping corporation, oil industry will show a rise in the beginning. From 14th, chemical, fertilizer, tea-coffee, steel, heavy industries, construction, leather, ONGC, oil India, coal, INDALCO, woollen mix, AVV etc indicate a rise in the market. Reliance industry, perfume & cosmetics, computer, software, IT etc. will continue seeing a decline in the market position. The beneficial dates for stock market in the month of July are 1, 2, 3, 7, 8, 9, 10, 16, 17, 20, 21, 22, 23, 24, 28, 29, 30, 31. On the contrary, the dates 11, 14, 17, and 25 are not favourable and will show a fall in share market. When the month of August begins, Sun will be in Cancer sign, along with Venus and Mars. Mercury & Rahu in Gemini; Jupiter in Scorpio; Saturn, Pluto & Ketu in Sagittarius; Harshal in Aries; and Neptune will be placed in Aquarius moon sign. On 3rd August, Mercury will move to Cancer sign; on 2nd Mars will transit into Leo; on 17th the transit of Sun from cancer to Leo will take place; and Mercury will set in east. Shravan amanta and poornimanta are benefic while the sun transit is malefic. The rise in stock exchange market will continue this month. From 7th August, almost every type of share will reach a high peak. There will be a one-directional increase in shares. From 19th to month end, the market will witness highest prices being quoted and market reaching a point where the rise in unprecedented. After a while, investors will experience a drastic growth in share market. From 13th to 29th, the market will take occasional dips, however the impact of same won’t be lasting. The market will pace up in no time. The dates favourable are 4, 5, 6, 8, 12, 13, 14, 18, 19, 20, 25, 26, 27; and unfavourable are 8,15, 23, 29. In the beginning of the month - Sun of Leo; Scorpio’s Jupiter; Saturn, Pluto & Ketu of Sagittarius; Gemini’s Rahu, Harshal of Aries and Neptune of Aquarius will yield mixed results. On 9th september, Venus will transit into Virgo sign. Mercury will also move to the same sign on the next day i.e. 10th. Sun will transit into Virgo on 17th, and Mars on 25th. All these planets in same sign will change the position of stock market. On 29th, mercury will transit into Libra moon sign. Saturn will be progressive in its motion from 18th while Venus will rise in West on 20th. The continued growth in stock market can be seen this month as well. On 17th of this month, a unidirectional rise in stocks can be witnessed. The market will soar. Computer software technology, IT, public sector, pharma, woollen, diamonds, films, dairy products, cement, shipping, coal, bank & finance, and other similar industries will rise dramatically. On 21st, there will be a break in this trend. Especially this effect of slowdown can be portrayed by industries like ONGC, OIC, leather, coal, oil, computers, softwares, technology, spinning mills etc. The dates indicating a rise in share market are 2, 3, 4, 5, 8, 9, 10, 12, 13, 15, 18, 19, 22, 23, 24, 29, 30. While the dates showing a fall in shares are 4 and 11. In the beginning of October, Sun will be present in Virgo, which will transit into Libra on 17th. Mercury will be present in Libra along with Venus which will transit from Virgo on 3rd. Jupiter’s Scorpio, the existence of Saturn, Ketu, Pluto in sign Sagittarius, Rahu being in Gemini, Harshal in Aries, and Neptune in Aquarius will create ambiguity in understanding the state of stock market. Mercury will retrograde on 31st. On 22nd Mars will rise in East. Ashwini poornimant, chandra darshan muhurat 45, kartik amant and transit of Sun are benefic. During the first half, the market trends will show a rising order and will favour only a particular order. Public sector, pharma, computer, software, IT, newspaper, leather, TATA power, cement, heavy industries will be under this influence. From 17th, tea-coffee, heavy engineering, lizer will show a decline or fall. Pharma, petroleum, public sector, reliance will depict dual sides of the coin with a rise. The lucky dates when market will rise will be 2, 3, 6, 7, 8, 11, 13, 14, 20, 21, 23, 24, 27, 30. The dates indicating towards a fall in market are 1, 5, 8, 19 and 31. Sun will be positioned in the moon sign Libra during the beginning of the month of November. On 16th, it will transit into Scorpio sign. The planetary positions during the time will be - Mars will be in Virgo; while Mercury, Venus, and Jupiter will be in Scorpio sign; Saturn will continue its presence in Sagittarius along with Ketu and Pluto; Rahu will be in Gemini and Harshal in Aries. Neptune will also remain in sign Aquarius. On 2nd November, Mercury will retrograde. On 5th Jupiter, it will change its position and move to Sagittarius sign. On 11th, mars will transit into Libra and venus in Sagittarius on 21st. Mercury will set on 6th in West and once again will rise on 17th, after which it will again retrograde on 21st. A steep rise will be witnessed by the market. Public sector, pharma, woollen, diamond, dairy product, petroleum, shipping corporation, heavy engineering, cement, iron, steel, housing, chemical, fertilizer, tea-coffee, transport, telecommunication, computers, spinning mills, banks & finance, rubber, mining, vegetable oil, ITC, cotton mix, Reliance, perfume, cosmetics, ONGC, OIC, leather, coal, insurance, hospitals and relevant industries will see a never-before rise in share market. 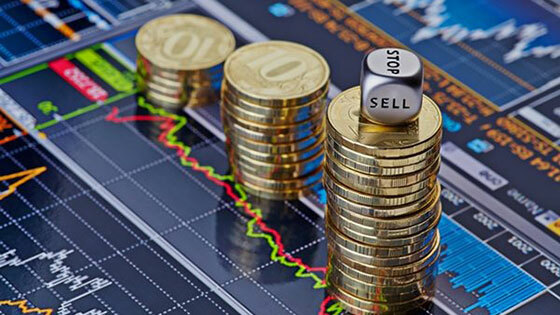 The dates for rise as per the astrological predictions are 3, 4, 6, 7, 10, 11, 14, 17, 19, 20, 21, 25, 26, 28 and the dates indicating a fall in share market are 5, 6, 12, 13, 18, 27. Planetary positions during the end of the year will be as follows: Sun in Scorpio will remain till 16, after which it will transit into Sagittarius moon sign. Mars will be in sign Libra, along with Mercury. Jupiter will be in Sagittarius sign. Also the planets Saturn, Venus, Ketu and Pluto will also be in Sagittarius moon sign. Aries will be home to the planet Harshal while Neptune will continue to reside in Aquarius. The position of Ketu will again be in Gemini. On 5th, Mercury will transit into Scorpio. On 15th, Venus will be moving to sign Capricorn. And on 25th, Mercury will transit into Sagittarius while Mars will transit into Scorpio. Saturn on 26th will set in West. The market conditions will be on rise just like the previous month. However, from December 9th, ONGC, OIC, Reliance, perfumes, cosmetics, coal industry, film industry, photography will show a slowdown in share market. But industries like banking and finance, petroleum, fertilizer, leather, cement, housing, construction, rubber, etc will experience the same hike. On 17th and onwards, computer software and technology industry including telecommunication, and industries like Reliance, perfumes, cosmetics, cars, insurance, fish business, ayurvedic and herbal products, will quickly move upwards. The dates predicted for a rise in share market are 1, 2, 3, 4, 5, 8, 11, 12, 13, 14, 15, 17, 18, 23, 24 26, 31. While the decline in market shares can be seen on 9, 10, 13, 16, 24, 25, 29 and 30.